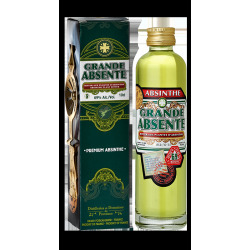 The very authentic absinthe: Grande Absente is a bitter liqueur which contains more plants of absinthe and less sugar. 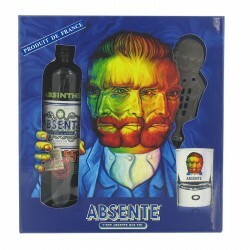 Set composed of 1 Absente 10 cl, 1 glass shooter, 1 Absinthe spoon. 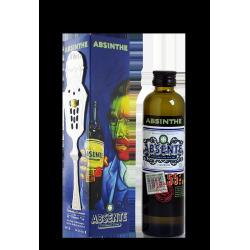 Set composed of 1 bottle of Absente 70 cl and 4 glasses Signature screen printed. 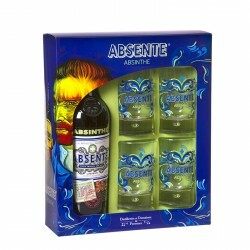 Absinthe is very characteristic . 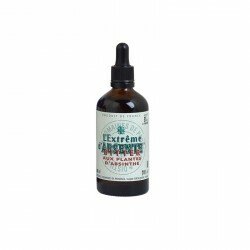 This is a clever blend of absinthe, artemisia, green anise and balm : delicate, sweet and slightly spiced .